Description: SAVING HOPE — Desperate to save her daughter, Hayley (Phoebe Tonkin) turns to Marcel (Charles Michael Davis) for help uncovering information about the mysterious force that has set its sights on the children of New Orleans. 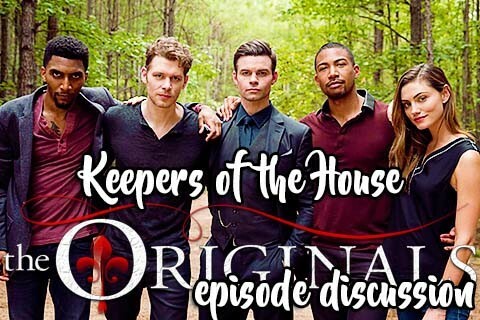 While Klaus (Joseph Morgan) remains behind with Hope (guest star Summer Fontana), Elijah (Daniel Gillies) and a reluctant Vincent (Yusuf Gatewood) join the hunt, which puts them on a dangerous collision course with an unlikely new threat. Finally, Freya (Riley Voelkel) and Keelin (guest star Christina Moses) must put aside their differences as they embark on a journey that may alter the power dynamic in New Orleans forever. + Do not insult actors. Please stay positive. + Do not post anything that is considered a spoiler until the show airs at Eastern time in the USA.